Lock in a great price for HF Fenix Urban – rated 8.6 by recent guests! Beautiful hotel. Reception Sophia very helpful. Breakfast buffet very nice. Many selections. Michael at the bar very nice. Excellent breakfast options. Gal at breakfast entry point very courteous. Very helpful staff at bar and front desk. Staff extremely kind and helpful. Very good breakfast buffet. Good location. Room had all the conveniences and was updated without being over the top. Extremely comfortable bed. Room size just adequate. Staff very friendly,knowledgeable and helpful. 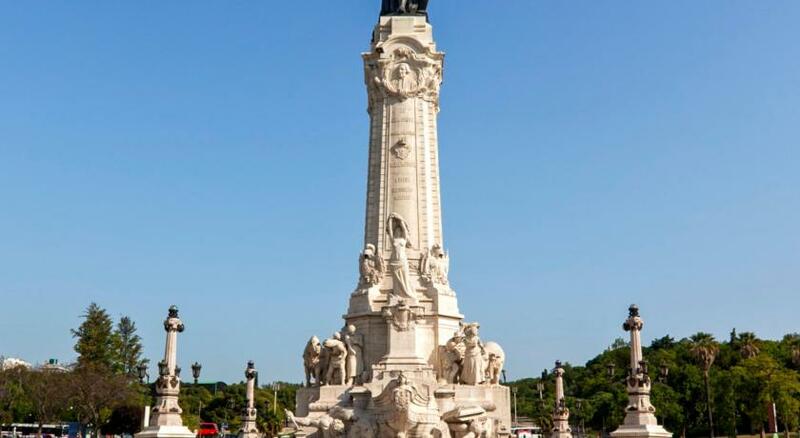 Nice location, near Metro, restaurants, parks and shopping. Breakfast was excellent. Service at restaurant was very helpful and kind. 2 metro stations nearby. Aerobus stop half block away from hotel. Supermarket across the street. El Corte Ingles department store a few blocks away. The staff are very nice and helpful. The location of the hotel is very good. The bedroom is comfortable and clean. The hotel is very close to the Parque Metro line (blue line). You can see it from the hotel. The street is not on a hill which is good when you are mobility impaired. The staff are very friendly and helpful. 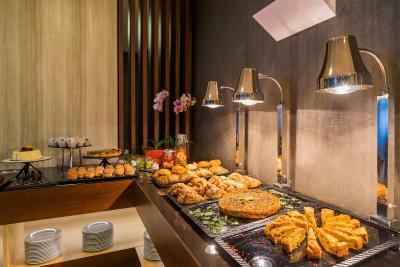 The breakfast is one of the best have found anywhere in the world. They have things you can't even think of. The coffee choices alone were amazing. Metro Parque just across the street, grocerie store close by, rental car next door if you are taking a couple of days to drive to other cities. Super nice staff. I have been an international flight attendant for 20 years and this hotel is a good choice. 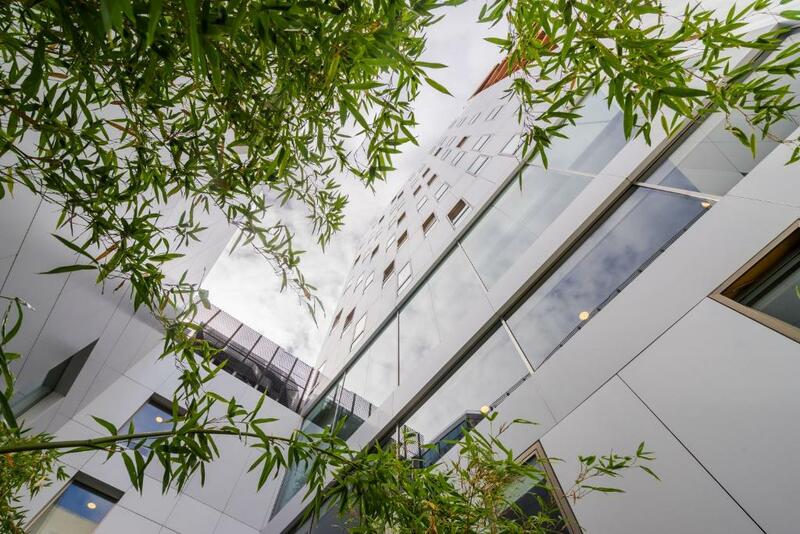 HF Fenix Urban This rating is a reflection of how the property compares to the industry standard when it comes to price, facilities and services available. It's based on a self-evaluation by the property. Use this rating to help choose your stay! 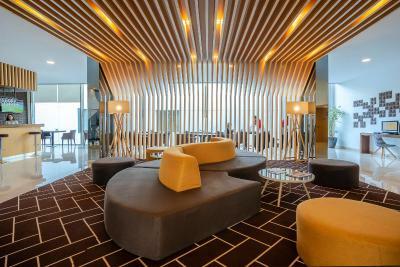 One of our top picks in Lisbon.Centrally located in Lisbon, the nonsmoking HF Fénix Urban is a modern 4-star hotel offering free Wi-Fi and contemporary guestrooms with flat screen TVs. 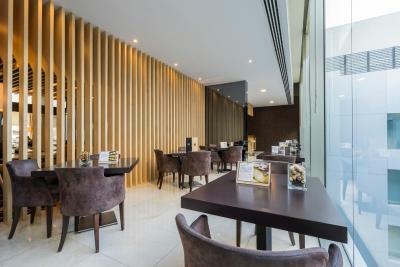 HF Fénix Urban’s Parque Restaurant serves a wide range of international cuisine and regional dishes. 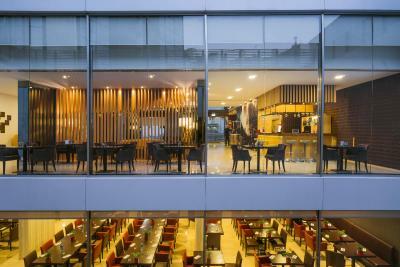 There is also a hotel bar, where guests can enjoy the relaxed atmosphere while having a drink. In addition, there is a small gym. The bright, airy rooms have a mini-bar stocked with drink and refreshments. 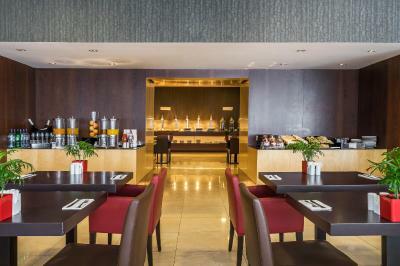 HF Fénix Urban offers breakfast in the room for those who wish to stay in the comfort of their room. 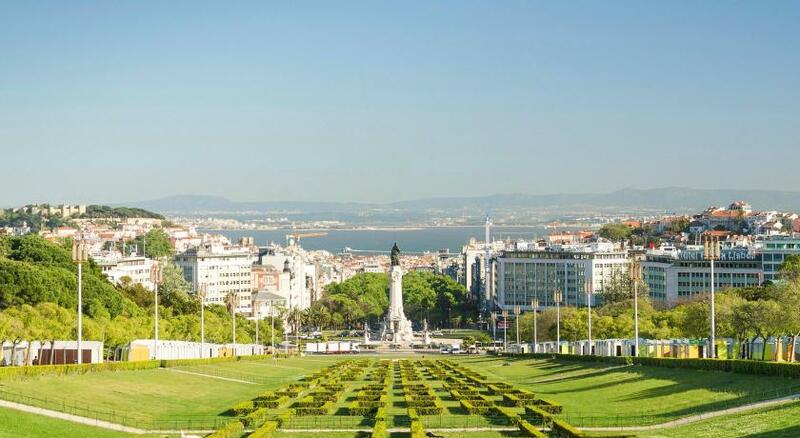 Lisbon’s famous Parque Eduardo VII is just a few minutes’ walk from HF Fénix Urban. The city's historical center and Avenida de Liberdade is a short drive away. 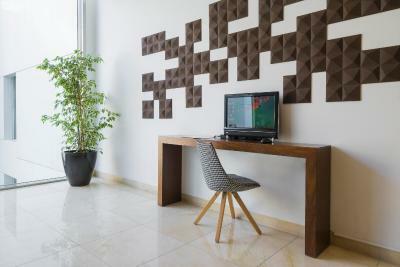 When would you like to stay at HF Fenix Urban? This air-conditioned room features a white modern décor, flat-screen TV and mini-bar. Includes a private bathroom with a hairdryer. Located between the 1st and 10th floor of the hotel, these rooms are available for nonsmokers. Please note that this room type cannot accommodate extra beds or cots. 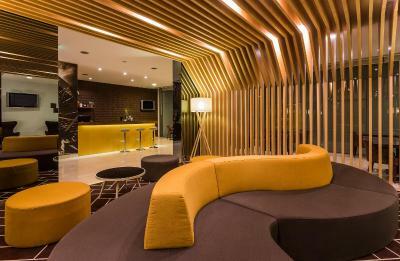 This air-conditioned room has a white modern décor, flat-screen TV and minibar. Has a private bathroom with a hairdryer. House Rules HF Fenix Urban takes special requests – add in the next step! HF Fenix Urban accepts these cards and reserves the right to temporarily hold an amount prior to arrival. The breakfast is very good. Large variety of selections. The location is good. The terminal of the hop-on-hop-off buses is very close. The carpets on the hall are stained, and they gave us a room on the 1st floor (meaning underground) , even the rest of the group was located on upper floors! They should have valet parking since is very difficult to find the parking lot. It was clean , and the rooms were confortable! Bed. Location was a bit hidden and hard to find. 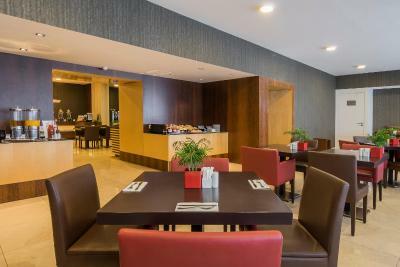 Great location, great breakfast, very clean! We had a room on the 1st floor and it was at the back so if you open the window you'll get a lot of noise especially half way through the night when garbage is collected. 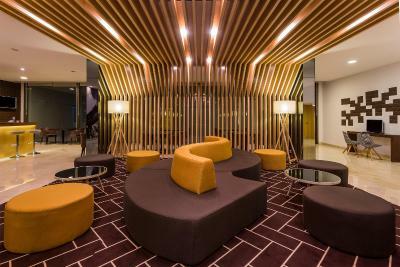 A very nice modern hotel in a good area. Good breakfast and helpful staff. Not receiving confirmation email to say they had taken the payment. Staff were very freindly. Good breakfast. Good location to buses and metro. Comfortable bedroom and large bathroom. The noise, because my room was near to the elevator.